I am really, really chuffed to hear that Angie was selected as the PPC for Ashton-Under-Lyne today. She is a home care worker and the Stockport UNISON branch secretary (and Regional Convenor) and will make a fantastic MP. This is great news not only for the people of Ashton-Under-Lyne but also that the Labour Party is selecting working class rank and file trade unionists for safe Labour seats. I have met up with Angie, her husband Mark (UNISON LGPS rep) and their lovely children at various UNISON conferences over the years. She was featured in a Guardian article a couple of years ago and I posted at the time that "Angela typifies the very best of UNISON and how it can grow its activists". 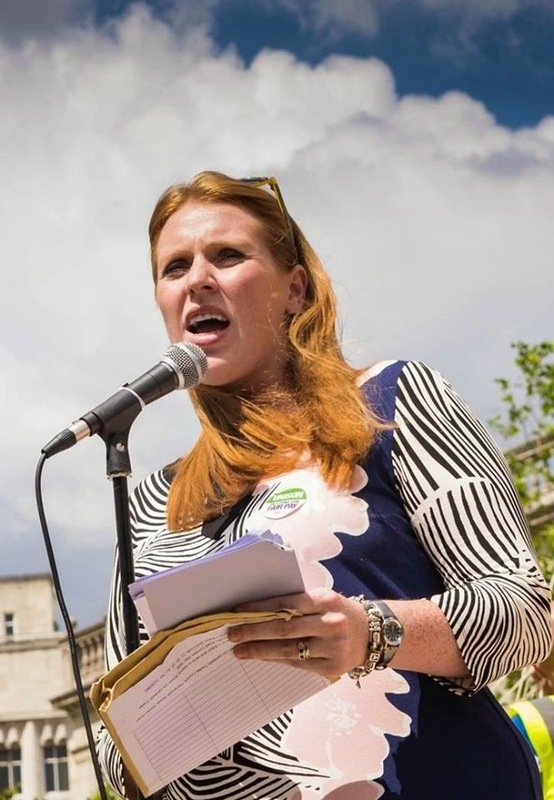 Labour’s prospective parliamentary candidate for Ashton-under-Lyne, Angela Rayner will be launching her campaign to become local MP this Saturday with supporters, councillors and Party members. Angela, a former care worker and mother of three, was selected only last month to fight the seat at the General Election next May. But she has already hit the ground running by meeting local groups, community representatives and building her General Election campaign team. On Saturday she will be meeting local people at the campaign launch to talk to them about the cost of living crisis, the impact of austerity and the threat to our National Health Service. Angela, aged 34, said: “I am starting as I mean to go on – by being active in the local community, meeting local people and local organisations, listening to their concerns and fighting for their best interests. “That’s why I am issuing an open invitation to every organisation in the constituency to get in touch with me and raise the issues that matter to them. “People know I am not the type to be silent when local people are suffering - I intend to fight a dynamic, energetic campaign which involves local people from all walks of life and brings them hope. I pledge to do everything in my power to help make life better in this constituency. “I really want ordinary people who are suffering under this Tory government to join my campaign to build a better Ashton, Droylsden and Failsworth. Together we can make a difference for the better. “If elected next May, I promise that I will be a hard-working, full-time MP who understands what local people want and who will represent all the people of this constituency. “I already know that the rising cost of living and the impact of austerity, means people in Ashton are struggling to make ends meet and put food on the table every day. Further information from Matthew Finnegan, tel 07807 033 438. If you are unable to attend, please contact us if you would like photographs supplied. Good luck with launch Angie!